Erlang is a programming language used to build massively scalable soft real-time systems with requirements on high availability. Some of its uses are in telecom, banking, e-commerce, computer telephony and instant messaging. Erlang's runtime system has built-in support for concurrency, distribution and fault tolerance. Erlang is the language of choice for programmers who want to write robust, concurrent applications, but its strange syntax and functional design can intimidate the uninitiated. 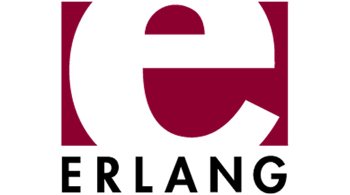 Luckily, there’s a new weapon in the battle against Erlang-phobia: Learn You Some Erlang for Great Good!